Tina arrived on Monday 12th August 2013. 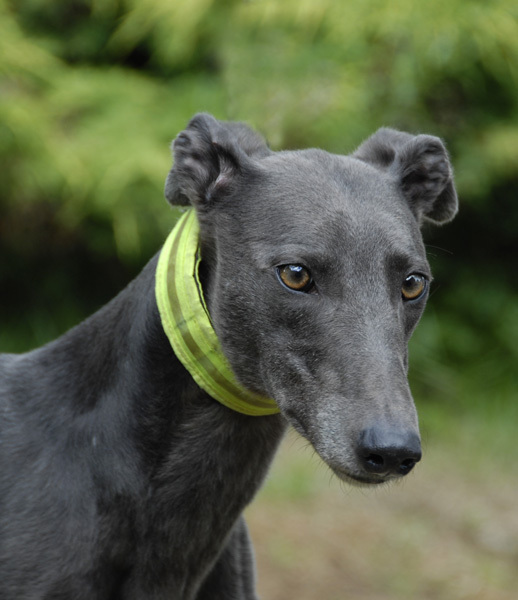 Tina is a lovely small blue ex-racing greyhound who weighs 28.5k. Born on the 24th March 2009 she is spayed and her inoculations are being brought up to date. She is a lovely friendly dog who loves to play and be cuddled. From what we've seen so far (but the assessment is still ongoing) she appears to be okay with other breeds of dogs, walks nicely on the lead and travels well in the car. 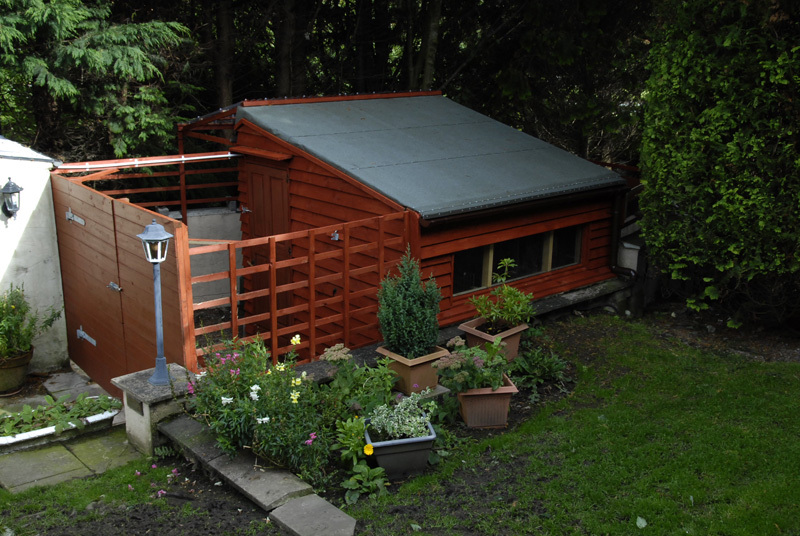 * The branch kennel at the bottom of our garden is where Tina and the other resident(s) will be for the first day or so until he gets to know the other greyhounds. He has use of our garden and paddock, and once he gets to know the other dogs he will be allowed in the house during the day and all the dogs will then take it in turn to sleep in the house at night, so they become use to sleeping in both the kennel and the house. Tina arrived this afternoon and once introduced to the other greyhounds we put her in one of the sections of the kennel so she could settle, but still see and say hello to the other dogs. This morning Tina went to the vet to be spayed and receive her first inoculation because she arrived here with no paperwork. She weighed in at 28.5k. While the vet was examining her she noticed a little nick near her back leg and they said they would put a stitch in that while she was under the anaesthetic. I hadn't noticed this before, so I'm not sure whether she arrived with it or if it happened here. At first we thought it may have been caused by one of the other kennel dogs as they were playing, but now she is back home again and we've examined the position further I thing she may have caught herself on one of the wooden corners of the table/bench sitting on the decking. The nick is the right height and position for this to have happened. Having watched all the other dogs today as they run around it, Stuart is going to round all the corners off to avoid this sort of thing happening again. Tina's new owner called this morning with his friend and her boxer dog to take Tina for a walk and get to know her. She had a lovely walk, although not too long with her having stitches in from her spaying operation, and her and the boxer seemed okay together. This afternoon Tina was adopted and went off to her new home where we hope she will have a long and happy life.